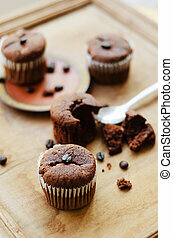 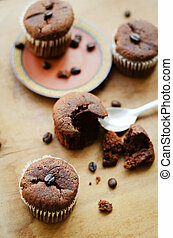 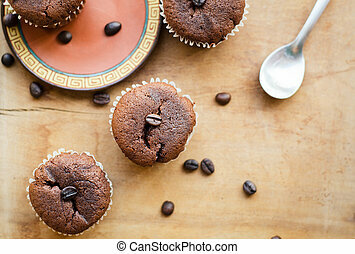 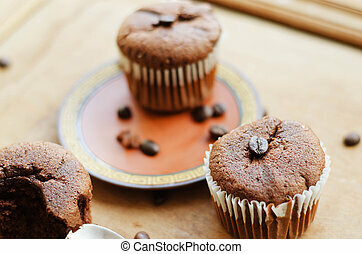 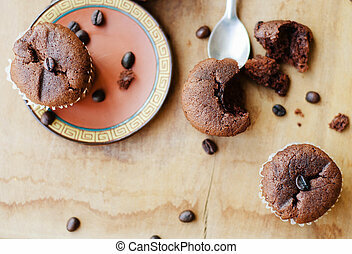 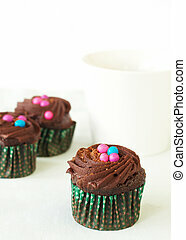 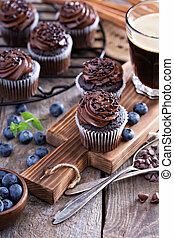 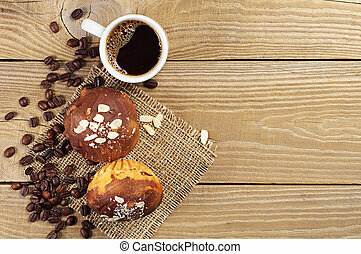 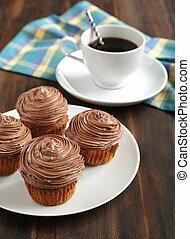 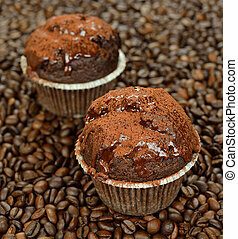 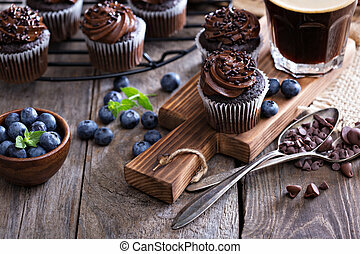 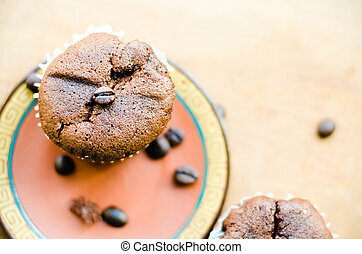 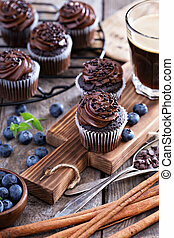 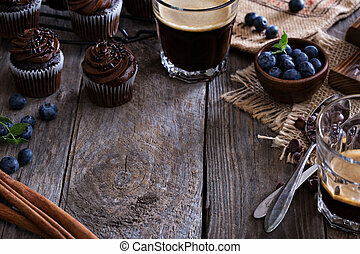 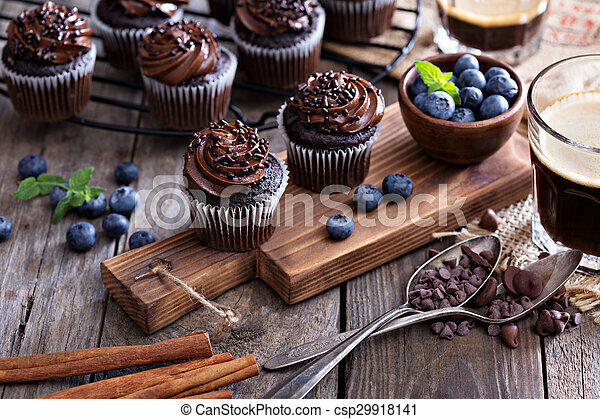 Coffee and chocolate cupcakes on wooden table. 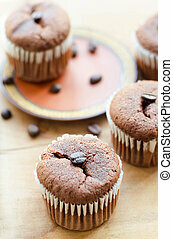 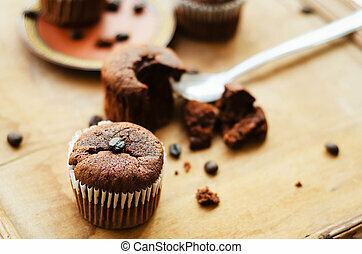 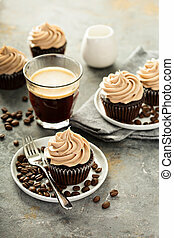 Close-up of coffee and chocolate cream cupcakes. 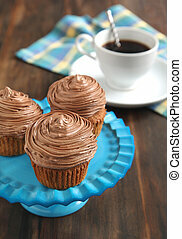 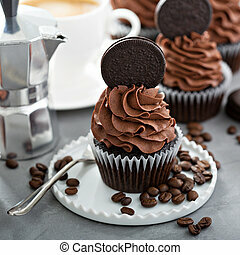 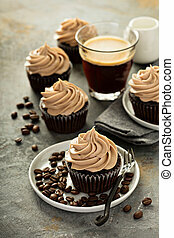 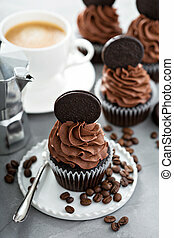 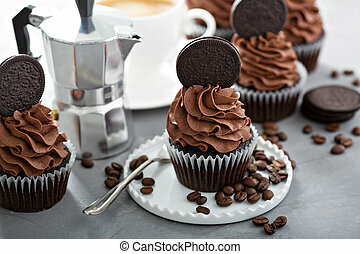 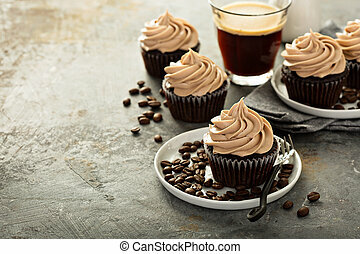 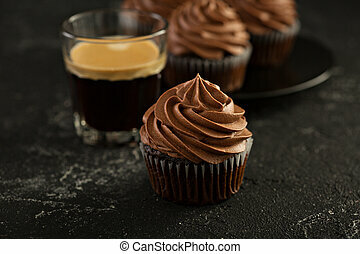 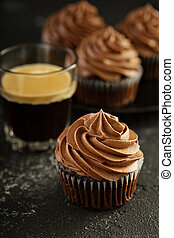 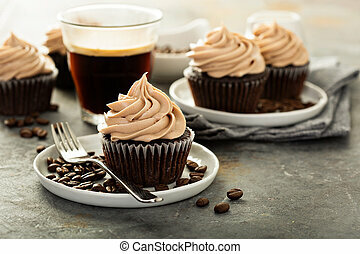 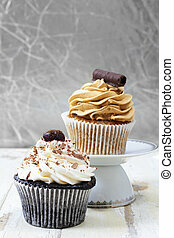 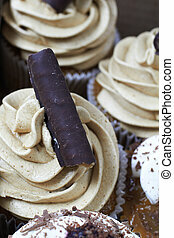 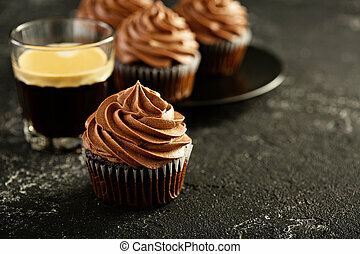 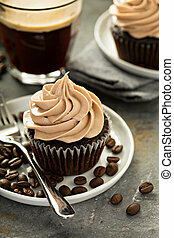 Coffee and chocolate cream and white vanilla cteam cupcakes on a white plate against grunge wooden background.